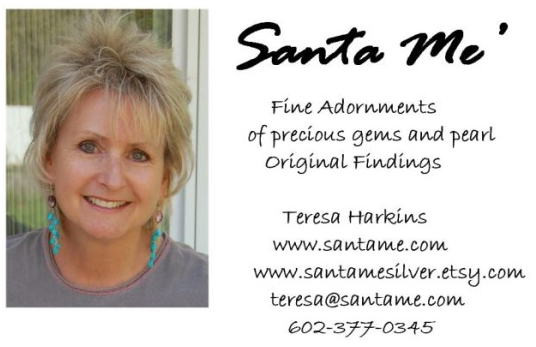 SantaMe | 14kt Gold Earrings, Sterling Silver Earrings, Multistrand Necklaces, Turquoise, Lariate, Bails, Findings, Mammoth Ivory! I was born and raised in the Pacific NW under the shadow of Mt. Rainier. The outdoors and nature’s treasures were my constant companion. 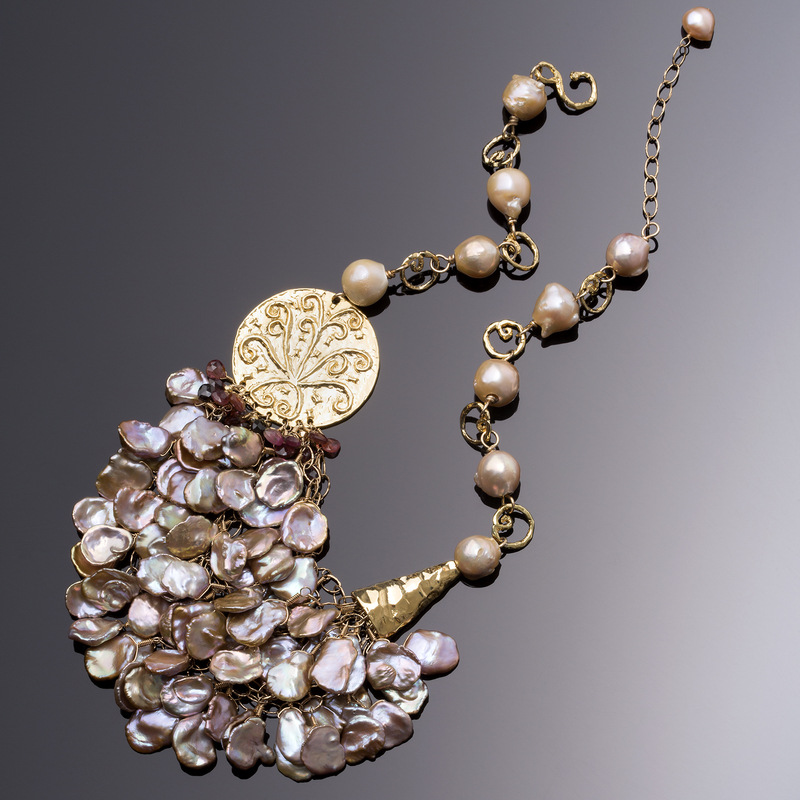 My love of nature’s patterns and dramatic lines, translates easily to working with beautiful wax carvings and metal fabrications, Mother Earth’s precious stones and pearls. I am a self taught artist. My designs range from elegant to serene and from energetic to playful. 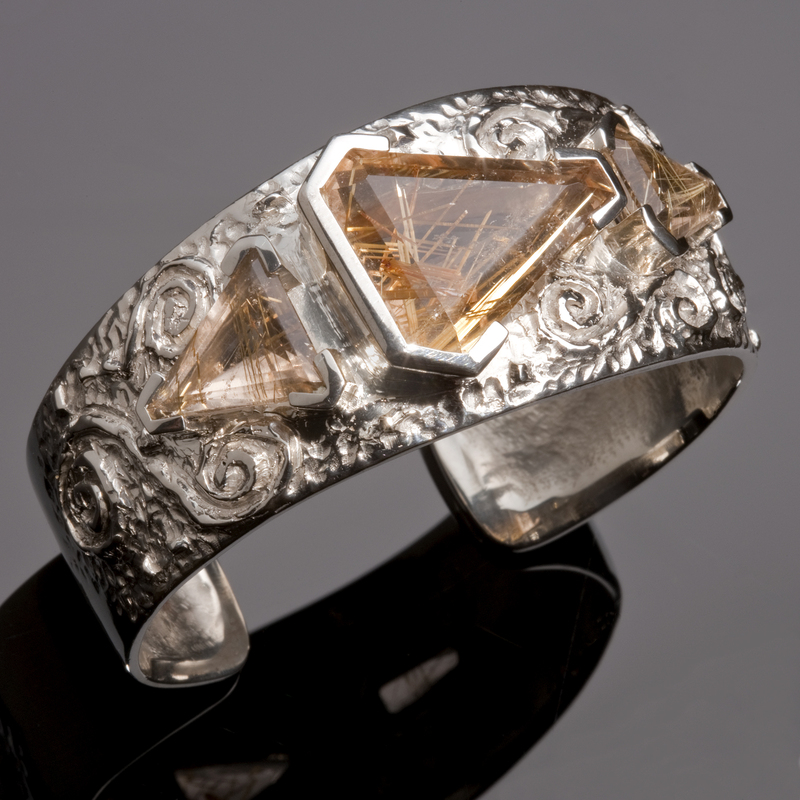 My goal is to capture the warmth and allure of nature’s treasures and to provide the wearer with comfort and long term enjoyment of each unusual piece. Not only is the creative process a joy for me, but to share this with others is an uplifting reward! Discover beautiful necklaces and celebrate the unique with style. 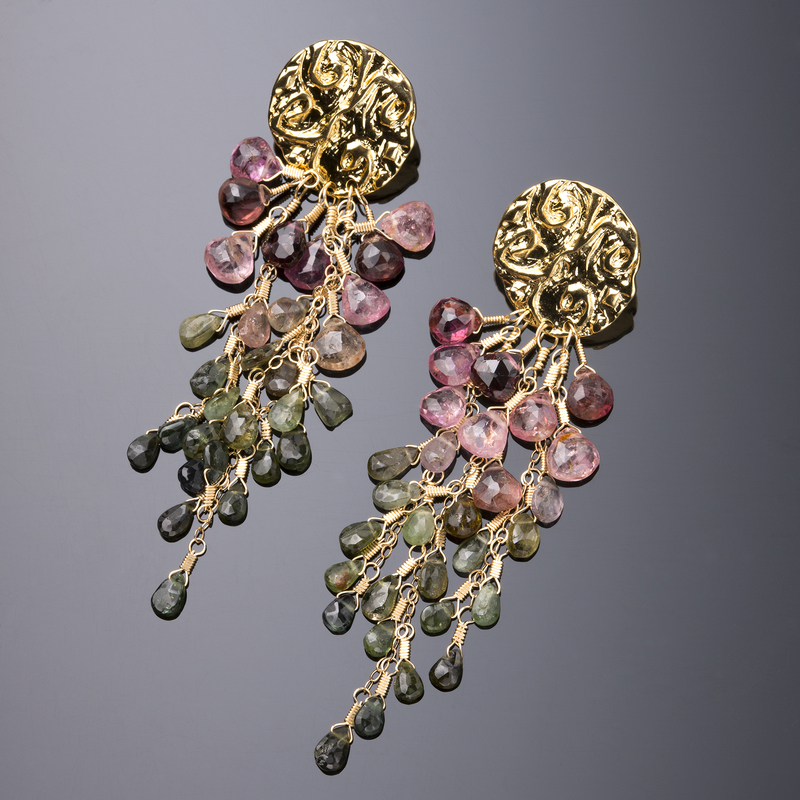 Celebrate Gold,Tourmaline and select the perfect gift.